Art Lebedev Studio is known for high design and elegant products, and their Sektorus watch concept does not disappoint. 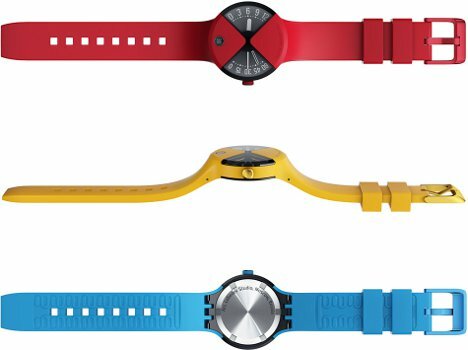 The gorgeous quartz watch features an aluminum body and flexible silicone band which merge into one another gracefully. The watch’s face does not display the typical round configuration; rather, there are two number-displaying wedges which together make up two-quarters of the watch’s round face. One wedge displays the hours and the other shows the minutes. A tiny round window displays the current date. 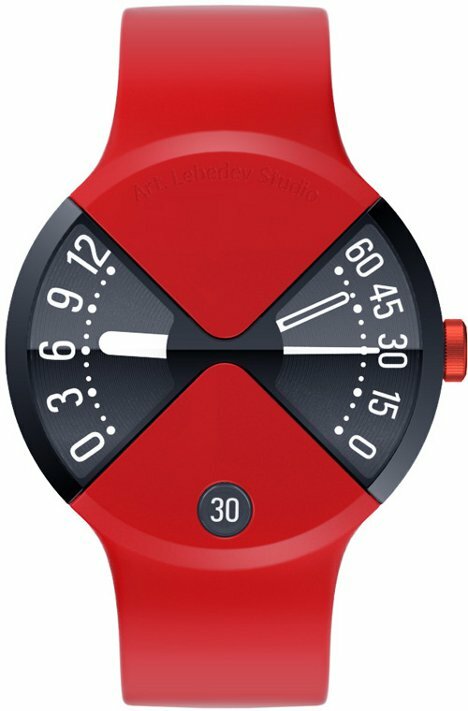 Altogether, the watch’s design is unlike anything else out there. Although Art Lebedev Studio lists it as a concept at the moment, we’d definitely buy at least one in every color. See more in Clocks & Watches or under Gadgets. September, 2012.